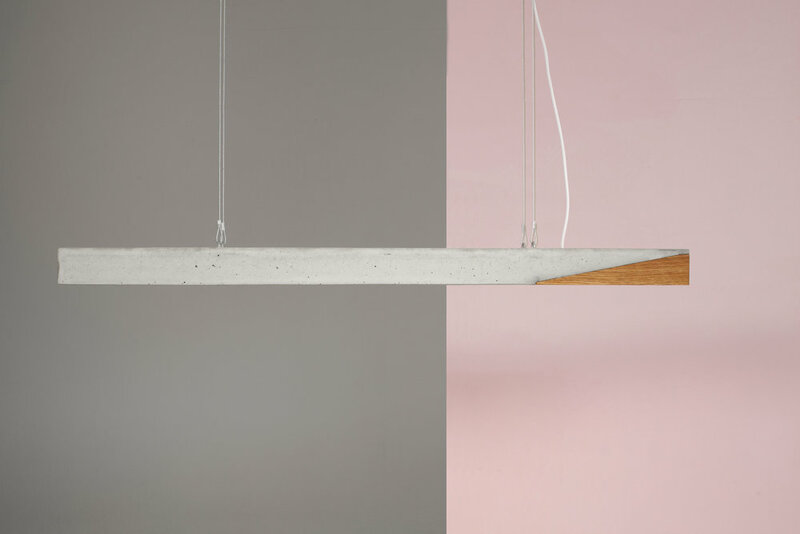 The LALE pendant lamp was designed to fly. 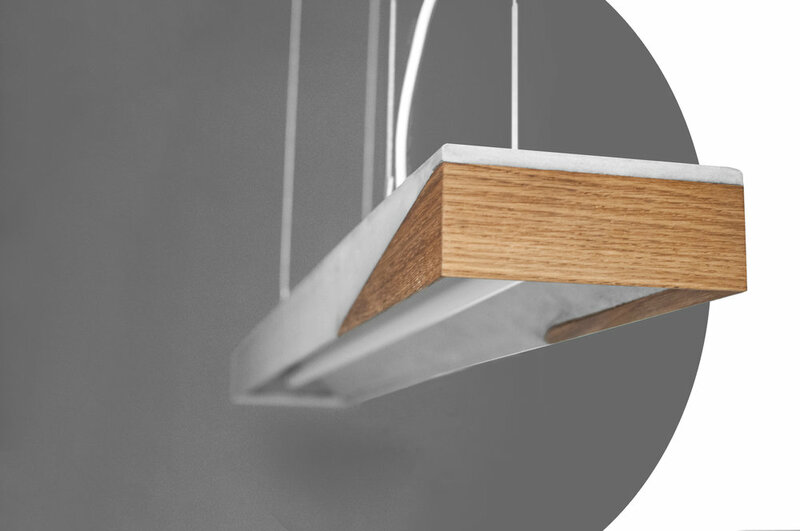 Stainless steel structural elements carry the weightless sensation of finish grade concrete, elegantly spliced with an oiled oak end cap. 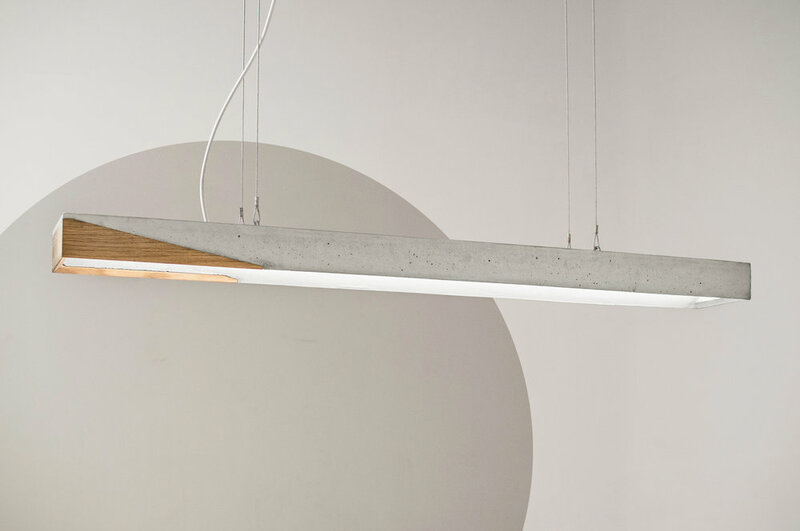 Its light freely flows through a naked glass tube, throwing warm light up into its barreled concrete reflector. A glass-finish surface cascades a diffuse glow over the thin edges of the pendant’s walls.